In times of persecution the one certain hope believers have is the return of the Lord Jesus Christ. God permits persecution and trials in our lives to prepare us for the world to come and to enable us not to become attached to this world. Our natural tendency is to love this world especially when everything is going well for us. Remember Lot and how he ingratiated himself into the elite society of Sodom and when the time came for him to get out of that city he had to be dragged out by the angels. The only reason God had mercy on him was because the compassion of the Lord was upon Lot and for the sake of his faithful uncle Abraham. However the one redeeming feature of Lot was that he remained righteous by continuing to live by faith and by keeping himself unspotted by the world. Peter tells us that, “God rescued Lot, a righteous man, who was distressed by the filthy lives of lawless men. (For that righteous man, living among them day after day, was tormented in his righteous soul by the lawless deeds he saw and heard) (2:7-8).” However he had no testimony as a believer. His lifestyle was no different than that of those around him. He may have been distressed but he still chose to live in that place and was reluctant to leave even when he knew that its destruction was imminent. In the end he escaped only with his life. Just before the Lord Jesus comes back it will be so difficult to live holy and Godly lives that at the end it will be a miracle if any of us make it out of here. As Peter tells us; “If the righteous are scarcely saved where will the sinners and the ungodly appear?” However, Peter tells us later on how we can make sure that we will be rescued from the coming wrath. The believers to whom Peter was writing were being severely persecuted. Many were loosing their jobs, their families and their lives. While the persecutors had the upper hand humanly speaking Peter makes it very clear in this chapter that the Lord will have the final word. The central theme that Peter addresses in this part of his second letter is the Second Coming of our Lord Jesus Christ, the day that is called “the Day of the Lord” in the Bible. Also he tells us how we should live now especially in the light of the coming wrath soon to be unleashed on a Christ hating, Christ rejecting world. Today our society is riddled with things that do not promote wholesome thinking. That “image” of the current “beast system” the television is programming the minds of people to worship the system itself, namely the things, the desires, the appetites, the pleasures and the pursuits of this world and ultimately to worship the antichrist himself. In these days we need to purge ourselves from “all filthiness of flesh and spirit perfecting holiness in the fear of God.” The scripture says, “Finally, brothers, whatever is true, whatever is noble, whatever is right, whatever is pure, whatever is lovely, whatever is admirable-if anything is excellent or praiseworthy-think about such things” (Philippians 4:8). When you look at most of what is on the television and especially coming over the internet it is abundantly clear that the things you see and hear are not right, or true, or pure, or lovely, or noble, or admirable, or excellent or even praiseworthy! All of the prophets, the apostles and the Lord Jesus Himself warned about the perilous times that would come especially in the last days. They all warned about the spiritual deception, false prophets and teachers and the trends and doctrines that would infiltrate the Church. Today multitudes of churches are moving away from the authority of God’s word. They are trying to mix God’s word with psychology and modern marketing techniques while others are replacing the plain teaching of God’s Word with experiential theology, unbiblical revelations and prophecies. 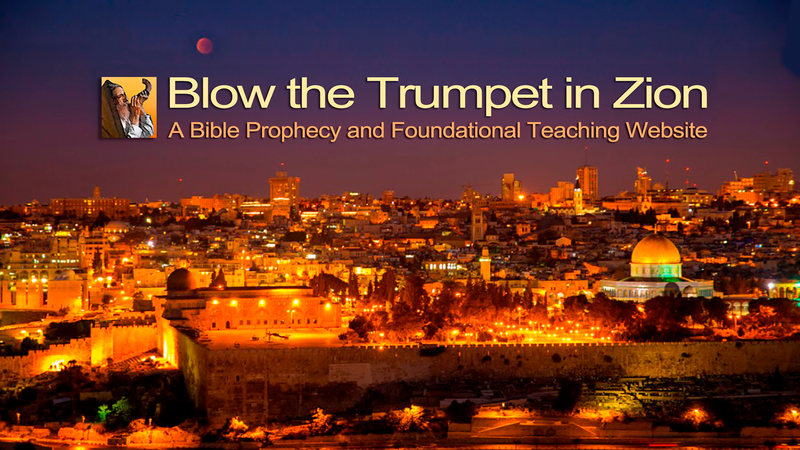 During the last days of Jerusalem before the Babylonians destroyed it there were many false prophets and teachers going around prophesying peace, blessing and prosperity when in reality judgment was looming and sin was rampant. Jeremiah the prophet not only exposed these false prophets and the underlying sin of the people but also told them to stand at the cross roads once more and to choose God’s way instead of their own way. They were to stand, to look, and to ask for the ancient paths where the good way is and walk in it. But they wouldn’t do it consequently most of them did not stand when the persecution and judgment came. This is why we must always go back to God’s Word. It is the ancient path that everyone must walk who would name the name of the Lord and depart from iniquity! Historically and Biblically just before persecution and judgment comes to the Church there is always an abundance of false prophets and teachers who go around emphasizing blessings and prosperity but never expose backsliding and sin. Peter was aware of these trends coming into the Church in his own time and he wanted to warn believers to watch out for these trends and to not be caught unawares. Before persecution comes the Lord always warns both the faithful and the unfaithful Church. It is a fact that false teachers who peddle their so-called gospel for money, who think that godliness is a means to financial gain and appeal to the fallen nature, appetites and desires of the flesh actually weaken those Christians who are enchanted by them consequently those who follow them will not stand when persecution comes. Multitudes of professing Christians who are going in for the faith prosperity gospel and embracing the Kingdom Now and replacement theology are being ripened to backslide and commit apostasy when persecution escalates on a world-side scale and comes to its peak during the reign of the Antichrist. Peter wanted the believers whom he loved and cared for to keep before their eyes the Word of God revealed through the prophets, through the Lord Jesus Christ and through the other apostles. He knew that he would be martyred under Nero and his burning passion was to see his beloved flock not led astray by the wolves in sheep’s clothing posing as prophets and teachers. Today it is no different than it was then. In fact it is far worse because of the electronic media especially through the television and the internet. In multitudes of churches those who are promoting the Kingdom Now theology are telling us that there will be no great tribulation or antichrist and that Matthew 24 was fulfilled in 70 AD and that the world will be gradually Christianised and presented to Christ at His Second Coming. Some of them even deny that there will be a rapture of the faithful Church but if you look at the text here in Peter’s second letter it clearly tells us that the last thing happening before Jesus returns will be the great tribulation and the persecution of Israel and the Church by the antichrist. In fact the nearer the Second Coming of our Lord and Saviour Jesus Christ gets the further away the Church is getting from the expectancy of His coming. Many Christians are living as if the world will just go on and that Jesus return will come at some stage in the distant future. Even in Peter’s time there were those who had this careless and almost indifferent and even flippant attitude towards Jesus’ Second Coming. Peter is not speaking about those in the world but those in the Church who are saying this. There are many Christians today who laugh at those who tell them we are living in the last days. Their reaction is usually like this, “For centuries people have been saying we are in the last days but things still continue as they have always done. What makes this time any different?” The tragedy is that they cannot discern the signs of the times in which we are now living. How do we know that Jesus is coming back soon? The evidence speaks for itself. There was Israel’s birth as a nation on May 14th in 1948 prophesied both in the Old and the New Testament. We have a global landslide of moral and ethical standards and “Many antichrists.” We have escalating famines, wars and violence unparalleled in the history of the world. Earthquakes are increasing globally. There is an explosion of education and travel. (Daniel 12:4) Not to mention that there is an explosion of the occult through television and movies. Then there is the immergence of the final beast empire called Islam along with the spiritual deception and multitude of false prophets in the Church. Also there is the increasing global persecution of faithful Christians. Then toady we also see multitudes of Jews being saved more than at any other time in history since the first century and the rapid rise of Anti-Semitism in the world and in the Church. It is a tragedy that the nearer the Second Coming of our Lord Jesus Christ gets the less interest there is in His Second Coming in multitudes of churches today. Those who scoff and laugh at the Second Coming of Christ have forgotten or choose to forget the past judgments of God. In 70AD the conditions in Jerusalem just before the Romans destroyed it were identical to the conditions in Jerusalem in 586BC when the Babylonians destroyed the city. The powerful Word of God that brought creation into existence also brought the flood. Water is an essential element in sustaining life yet that same water destroyed the ancient world in the time of Noah. Now Noah was a preacher of righteousness and holiness but the generation of his day ignored God’s Word and they all perished. The flood was like nothing else they had ever experienced before. In the book of Revelation when the final wrath of God is poured out upon this Christ hating, Christ rejecting generation it will experience catastrophes and disasters like nothing previous generations have ever experienced. (Matthew 24:21) The scripture says, “When people are saying, “Peace and safety,” destruction will come on them suddenly, as labour pains on a pregnant woman and they will not escape” (1 Thessalonians 5:3). But Peter continues…. The day of the Lord is not a moment in time but a period of time that starts with the plagues and judgments in the book of Revelation and continues through to the rapture of the saints and culminates in the physical and visible return of the Lord Jesus Christ with all of His Saints to earth to destroy the Antichrist and his armies and to judge the nations. While the day of the Lord may be a protracted period of time to Him it is just like a second in comparison. In eternity time does not exist as it does down here. In eternity everything is happening simultaneously at once that is why those who have already died in the Lord do not precede those who are alive when the rapture occurs. We all go up together. In eternity the resurrection and the rapture are one and the same event. If we have already believed on the Lord Jesus Christ for our salvation then, we are already in the resurrection and out of time as we know it on earth as far as God is concerned. When God raised Christ to life He also raised us to life as well. In time as we know it on earth the physical resurrection of our bodies is still to come even though we have already been resurrected spiritually. But in eternity it is already a reality. (John 11:25-26) It may seem that God is delaying Jesus return but the scripture says that God has fixed a day in eternity when He will judge this world by the man Christ Jesus whom He has appointed. God is never behind time where his schedule for man is concerned. But why does He delay? Why does He not return especially in the light of the terrible suffering in the world? Peter tells us why! The only reason that God delays the coming of Jesus and reserves judgment in the heavens is to give people time to repent because He does not want anyone to perish even though He already knows those who will repent and those who won’t. The Lord Jesus knew that Judas Iscariot would ultimately betray Him; in fact He even called him a devil yet in His love and forbearance He gave Judas time to repent even though He knew he wouldn’t repent. God delays His judgment to give us all time to repent. There are still many people who have never heard the name of Jesus except in a swear word and multitudes in the world at large who have never even heard of Jesus or about the Salvation He brings. Many in the professing Christian Church also need to repent and Peter here is primarily speaking to those in the ranks of the Church even though it applies to unbelievers generally. Today there are multitudes of churchgoers who have never repented and believed upon the Lord Jesus Christ for their personal salvation. They may attend church, sit on committees, partake of communion, have been baptised as babies and have always been in the church yet they will be lost because they are not believing only upon Him who shed His blood for them but believing in something else for their salvation. However, there are other true believers who are backsliders and need to repent before the judgment comes. Backsliders in the Church do not like to hear about the Second Coming of the Lord Jesus Christ neither do they like teaching that focuses on the last days because they are more at home in this world than they are in God’s Kingdom. Remember Lot’s wife she was escaping with her life wasn’t she but she looked back yearning for this world and the things of this world and she perished in the flames. Often the reason we are not delivered is because we are not desperate enough to be free from our sins. Some certainly we will put away but there can be others that we are reluctant to part with. In our deep minds we really want to hang on to our sin. If we do not forsake all and every sin then we will not escape the judgement of God! If you are conscious of sin and its power in your life and want to be rid of it then run to the Lord Jesus, cry out to Him to have mercy upon you and plead with Him to set you free and cleanse you from all of your sin. Some sins are stubborn and persistent and we have no power over them but the Lord Jesus does and His blood and His Spirit is the power we need to shake us free from those deeply entrenched and stubborn sins that so easily beset us! But surely the Day of the Lord will come! There will be nothing secret about the coming of the Lord. When He raptures the faithful Church people will know. Imagine an unbelieving husband waking up in bed to find his believing wife gone. Imagine what will happen when a pilot flying a passenger jet suddenly goes up into the clouds along with some of the passengers. Imagine drivers suddenly disappearing on the freeways of the world or train drivers who are suddenly gone while they are at the controls! Then imagine fire from heaven, plagues earthquakes disease and death on a scale unprecedented in the history of man! Imagine the great skyscrapers of the world’s cities collapsing. Imagine the armies of all the nations being destroyed by fire on the mountains of Israel and then imagine Jesus coming again to this earth with all of His saints and angels!